When adventure can be blended with mindfulness, the results are always spectacular. This is exactly why the launch of the new Mahindra E2O P8 car as a part of Zoomcar’s fleet in Mysore is so exciting. Take a look at how this can transform your weekends in Mysore (Hint: Electric cars can be a refreshing option!). What captures your imagination when Mysore is mentioned? 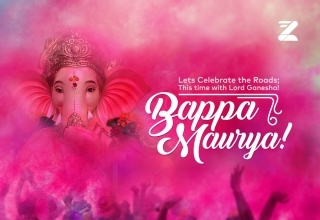 The picturesque hills, the sheer history, the palaces, monuments, iconic symbols and the culture blend together to paint an image of consummate beauty. 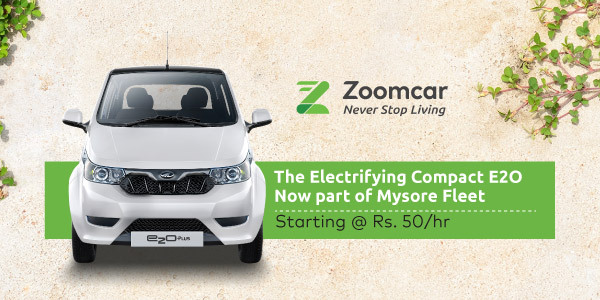 As the first self drive company in Mysore to initiate this launch, Zoomcar has taken a firm step towards retaining this beauty by including electrics car as an option for customers. 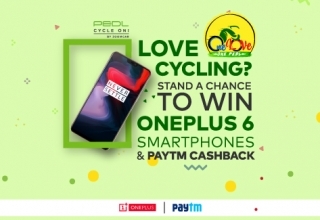 Zoomcar’s initiative is a step further in the direction of supporting sustainable technology and a transport alternative that is smarter in many ways. Besides being an easy-to-charge car that allows for a greener future, this option also enables easy navigation through congested roads. As a first mover in the space of adding electric cars to its fleet, Zoomcar has underscored its belief in constant innovation and bringing the best to the self-drive space. 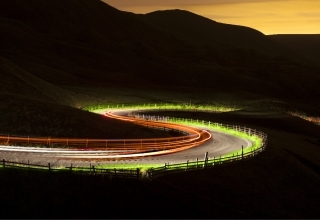 With a “Fast Charger” that charges the car in an hour, trips are not hindered in any way. The stellar, unique chargers address the common query “Maybe I should stay away from electric cars for a leisurely weekend. 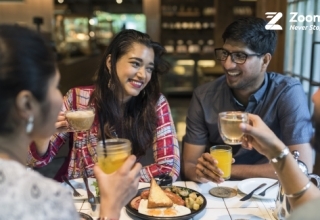 What if the long charging period ruins our plans?” To ensure that customers are not inconvenienced in any manner, chargers are placed at both the Zoomcar pick up sites, which is Garuda Mall & Country Inn & Suites Hotel. What’s more, these cars are apt for groups or individuals that are looking to drive within the city and explore it at their own pace. If a customer books the Mahindra E2O P8 for their trip, they will receive a fully charged car that can run for up to 100 km. With Mysore spread over just 128 sq km, it is the ideal city where individuals can ply and visit all the wonderful places that it is renowned for. For travellers wary of their carbon footprint or perhaps simply wishing to try out an electric car, the Mahindra E2O P8 presents a wonderful opportunity. 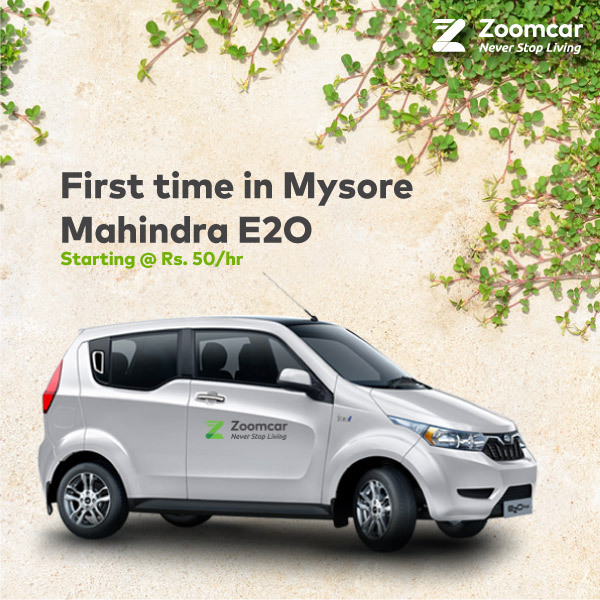 Zoomcar has partnered with Mahindra for this initiative and starting with Mysore, will be making this car an option in metros and other cities. Zoom your way across the city and make a trip to the Mysore Zoo which was opened in 1892, and houses several typical and exotic Asian species. If you are a history buff, then driving around Mysore would be a treat for you. The Jagmohan Palace, Mysore Palace, the Lalitha Mahal and Chamundeshwari Temple draw in millions of annual visitors. 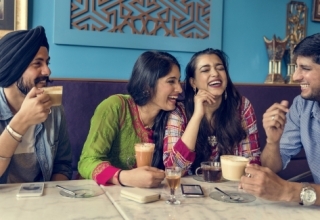 After you have seen your fill of heritage structures, you can chow on the delicacies of Mysore: Mysore dosa, Mysore pak, filter kaapi, and the almost inexhaustible list of breakfast/snack dishes. 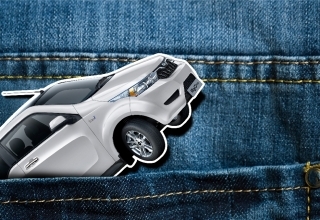 Charge your car while you eat and then get ready to shop! Renowned for wooden handicrafts, Silks and art, you can pack up on souvenirs to take back home to your friends. Considering all that the city has to offer, the sights ought to be taken in on a slow pace, giving you time to savour the warm culture and rich history of Mysore. Don’t overthink it. Book your car today and experience Mysore like never before. Next article Venture Out to the Northern Frontier of Manikaran!